Another Spring Garden Night is in the books! Thank you to everyone who came out and made it a huge success! *We appreciate the teachers for taking time to explORE fun, educational projects with the children. *Thank you to Mrs. Falcon for having the Book Fair open so that our Owls could add to their… Continue reading Spring Garden Night! Preparations for the Spring Garden Night are well underway! 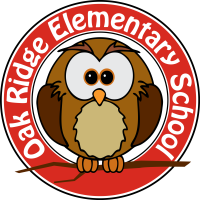 All of our families will have the opportunity to help provide support for Oak Ridge Elementary by taking part in the creation of gift baskets to be sold at the event’s silent auction. We are asking that the parents in each grade collectively contribute items according… Continue reading Spring Garden Night! Hi Owl Families! It’s been a couple of busy weeks with the chocolate bar fundraiser and Spring Break. First off, you guys absolutely ROCKED the chocolate bar sales! We exceeded our expectations and even had parents asking for boxes after we ran out! We do still have a little bit of money to collect, so… Continue reading Things are busy! Any changes will be posted as soon as information is available.